A natural progression from our sinking boilies was to produce a range of pop-ups. So, that?s exactly what we?ve done! It?s taken months of tweaking and testing by our product development team but we?ve finally reached what we believe to be the ultimate balance of colour, flavour and buoyancy. 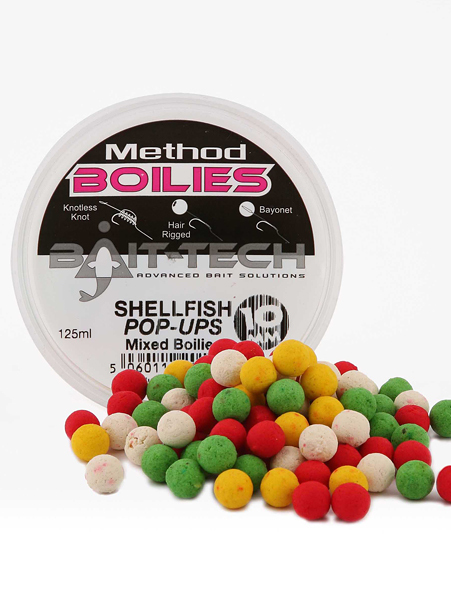 Available only in a tub of mixed colours (red, white, yellow and green) in 10mm Shellfish.